I struggled to pay attention in class as my mind was running wild all while staring at my blank worksheet. I tapped my thumb on my desk repeatedly feeling like my anxiety was on another level today. My thoughts had been running wild all night trying to recover from the eventful weekend. I barely slept last night as I couldn&apos;t stop tossing around in bed thinking about Joe and his maybe ex-wife &apos;Miss Flowers&apos;. I ran my hands through my tangled curls while taking a deep breath for my sanity. I shouldn&apos;t even be thinking about this right now. "What are you thinking about?" Ryan asked sighing as he sat back down from sharpening his pencil. "What?" I asked as I cleared my throat drifting away from my trance. "You have the same look you had the whole ride back from Miami last night," he responded as he scribbled away on his worksheet. "It&apos;s nothing," I mumbled as giving him a grim smile. I tried to concentrate on the piece of paper in front of me all the while clutching my pencil ready to write. No matter how hard I attempted to stay focused, my mind drifted off to the events of last weekend and I was lost again. What does she even want from me anyway? "He isn&apos;t worth it Freckles," Ryan spoke again calling me his new favorite nickname. I turned to him giving him a blank look as I was not sure what he meant as I was lost in my own thoughts. "Anoa&apos;i," he said rolling his eyes. "You&apos;ve had that same look since you spoke to Miss Flowers yesterday. I could barely get a word out of you on the bus ride back from the hotel," he voiced his concerns as he worked away on his worksheet, barely sparing me a glance. "I&apos;m fine. Just stressed over my workload," I responded as I scribbled some answers on my worksheet a little surprised at how perspective Ryan was. "Whatever you say Robin. I&apos;m just saying he isn&apos;t worth it. A guy like that only looks out for himself and  doesn&apos;t care about anybody else," he continued as he has stopped to look at me with his perching blue eyes as I already knew who he was talking about. "Like you," I fired back as I stared back at him in Joes defense, finding the little courage I had to compete with his intense gaze. I knew it was referring to him leaving me at the club the other night but I couldn&apos;t stop the words from slipping from my lips. "Exactly," he responded coolly giving me a blank look before returning to his worksheet and scribbled away. I felt suddenly felt horrible for saying those words and bit my lips nervously reluctant to say anything else. Why did I even say that? I turned my attention back to my worksheet as the conversation turned to an awkward turn hoping time would some how speed up. Minutes passed by like hours as I managed to get some work done but my mind still lingered Joe. My curiosity finally got the best of me and I snuck a quick glance at him. He seemed very focused on his work as he scribbled away on whatever he was working on. I&apos;m always impressed at the way he can just switch from different personalities in various situations. He always looks in control where as I am the complete opposite. The images I tried to block of him and her together flooded my brain like the plague and I felt a sudden ache in my chest. Why the hell do I feel like this? The the bell finally rang signaling the end of the class. I packed my things quickly as I suddenly felt sick to my stomach thinking about talking to Joe. "Are you going to hold that over my head from now on?" Ryan asked me as he strapped his bag. "I didn&apos;t mean it like that. I was just annoyed at the fact that you were trying to make something out of nothing. I&apos;m sorry," I apologized as I gathered the rest of my stuff avoiding his waiting gaze. "Don&apos;t worry about. 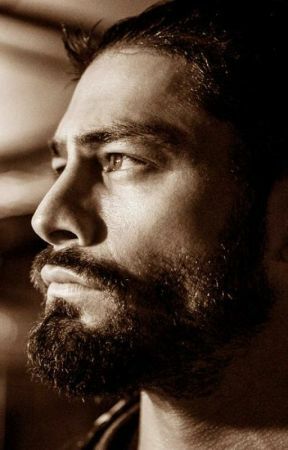 I mean lots of the females have a  crush on Coach Anoa&apos;i," He shrugged as I blushed furiously giving him a shocked look. He chuckled lightly faintly  revealing his dimples. He thinks I have a crush on him? "Um-" I started before he interrupted me. "You don&apos;t have to explain anything. I got your secret," He winked before turning to leave the classroom. I followed suit still in shock that he thinks I had a crush on Joe. Well at least it&apos;s better than him thinking anything else is happening. "I need to talk to Mr. Anoa&apos;i about the homework so I&apos;ll see you later?" I told Ryan as the rest of the class was quick to leave for the lunch break. He gives me a knowing look to which I just rolled my eyes choosing not to feed into his games. "Alright, just remember what I said earlier, be careful," he warned before turning to leave. I waited he left the last the classroom before facing to face Joe. He smiled cockily leaned against the podium folding his arms eyeing me carefully. "H-hey," I struggled to get out suddenly feeling nervous jitters in my stomach. "Don&apos;t get shy on me again baby girl. Not after last weekend," he smirked as he stepped away from the podium and shoved his hands in his black suit pants. "That&apos;s not funny," I muttered as I tried to shrug of the shivers his deep voice sent through my spine. "Relax, I&apos;m just kidding." He raised his hands jokingly in defense chucking a bit. "At least you&apos;re in a better mood then you were last night. You were kind of out if after the game," I replied folding my arms against my chest. "Yeah, it just means we&apos;ve got a lot of work to do," he cleared his throat not giving me much detail. I stared at him awkwardly not knowing what to say next. Do I even bring up what happened between me and his ex? I really want to ask him whether or not they were married but is it even my place to ask? "You okay?" He asked furrowing his eyebrows as he stepped a little closer to me. "Y-yeah." I smiled grimly mentally cursing myself for stuttering. "It&apos;s Monday, everybody is usually out of it on Monday&apos;s," I continued hoping that he wouldn&apos;t notice anything else was off. "Y-yeah just a lot on my mind," I felt my palms get sweaty as I debated on if I should tell him or not. "Alright, well we could talk about it over lunch," he suggested as I walked to the other side of the front desk and started packing up his things. "I don&apos;t think lunch is a good idea. I mean every time I&apos;ve gone out to lunch, I&apos;m always in a messed up situation." I explained reluctant to face any weird encounters. I don&apos;t think I could handle that today. "We are going off campus for lunch," he spoke as he continued to pack the last bit of his stuff. "Okay," I said with uncertainty laced in my soft voice. "Are you sure you&apos;re okay?" He asked as he stepped from around the table. His grey eyes pierced through mine worriedly trying to figure out the problem. "N-Nothing, I just d-didn&apos;t get much sleep," I lied terribly. "You&apos;re gonna learn not to lie to me baby girl," he almost growled as he wasn&apos;t pleased with my answer. The tone his voice spoke nothing but the truth and it scared the hell out of me. He smirked cockily as he took short strides to stand in front of me. He seemed pleased in my vulnerable state as he looked me over before walking to the entrance of the door. "I-I d-didn&apos;t mean-," I tried to explain. "Come on, lets go," he responded as he opened the door signaling me to follow him.